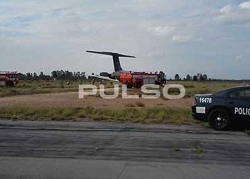 The aircraft was accelerating for take-off on runway 32 (lengh 3000 m)when the pilots experienced uncpecified „mechanical failure“ and elected to abort. 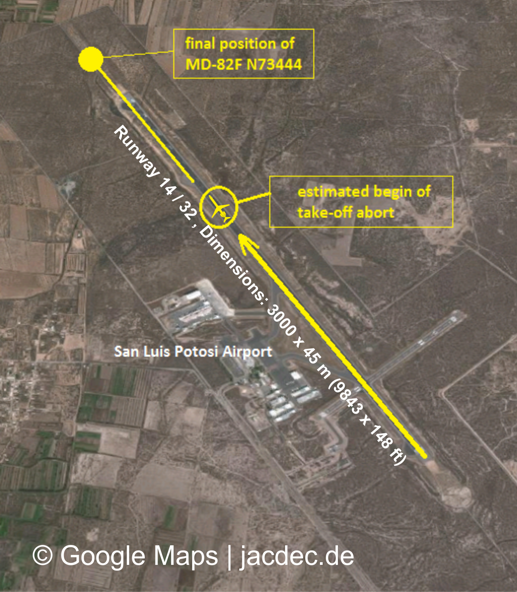 The remaining runway distance was insufficient to prevent an overrun and the MD-82 rolled off the end of the paved surface where it struck a number of runway lights before it came to a stop 300 meters behind. The plane was loaded with assembly parts for the automobile industry. 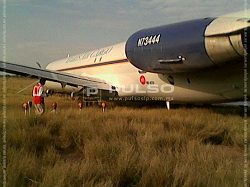 It is understood that the damage to the aircraft is limited and it may be repairable. The incident caused minor damage to the approach light system. Removal of the MD-82 will continue throughout the following day, with the support of specialized tonnage cranes to support it. Airport operations were not seriously affected.